I'm on vacation, but I can't stop making preschool printables! This one is a bingo board with four levels of cards for matching. 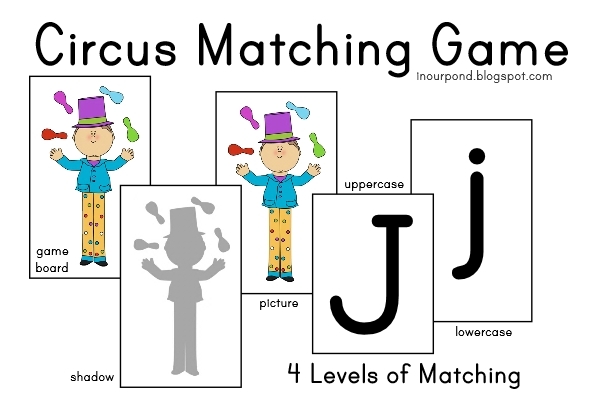 The cartoon circus objects can be paired with either an identical object card, a shadow card, a beginning sounds uppercase letter card, or a lowercase beginning sounds card. As always, the game is free.